Extraterrestrial Live is the American hard rock band BLUE ÖYSTER CULTs third live album, released in 1982. It documents their 1981 tour in support of Fire of Unknown Origin, but includes two tracks recorded in 1980, during the Black and Blue tour with BLACK SABBATH. Midway through the tour of 1981, the band fired drummer and founding member Albert Bouchard, replacing him with roadie Rick Downey. This was the band's third live album in less than a decade. The solo on Veteran of the Psychic Wars is widely regarded by fans and critics as one of Buck Dharma's best. track 1 – Mid-Hudson Civic Centre, Poughkeepsie, New York, 11 February 1980 for a King Biscuit Flower Hour broadcasting. "Extraterrestrial Live" really captures the true "flavor" of BOC live. The tunes on this recording do not fly away to far from the originals but ends up as a great document that the band duplicates well with their studio album sound to live. I do not mind alternate versions or jams during a live set, but this is very pleasant and really shows how incredibly talented that BOC really is live. The productions is nice, clean and sounds pretty well to be an oldie these days. The album contains man great tunes like the THE DOORS cover "Roadhouse Blues" where Rob Krieger joins the set. The amazing drum solo on "Godzilla" or the magic guitar playing on "Veteran of the Psychic Wars", the creapy keyboard intro on "Joan Crawford" and the mega hit "(Don't Fear) The Reaper"
Sum: A excellent live performance with BOC, a live album among live albums you need to get, buy Extraterrestrial Live! 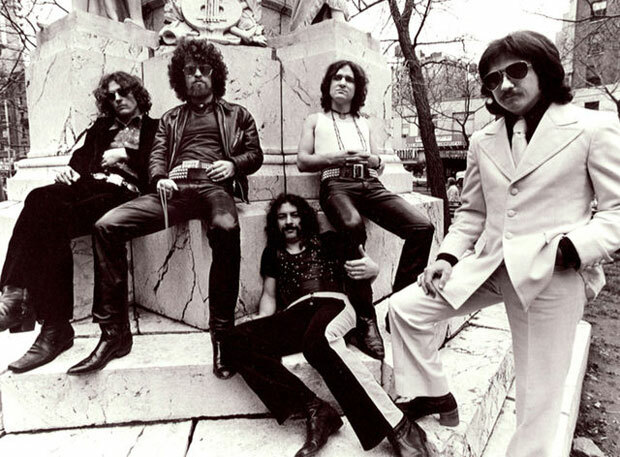 Blue Öyster Cult performs "E.T.I. (Extra Terrestrial Intelligence)" live at the Hollywood Sportatorium in Hollywood, Florida on October 9, 1981. 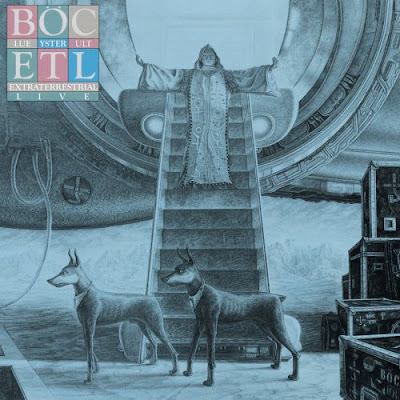 Listen to ”Blue Oyster Cult - E.T.I. (Extra Terrestrial Intelligence)" on Spotify!